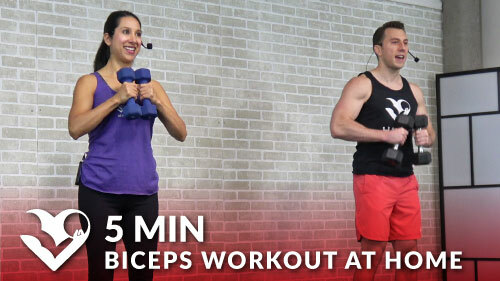 Strengthen your chest and triceps with this home workout routine. This is a great workout for both men and women. It only requires a pair of dumbbells and a chair, but you may also use a bench or stability ball for some movements.